Island Mermaids is now in partnership with Salti hearts surf and yoga camp, we have created a week focusing on holistic health, creativity and fitness for girls! Salti hearts and Island Mermaids, Bali is offering a camp of surf and yoga and mermaids! This is aimed at all girls around the world who are keen for some ocean creativity in a tropical paradise – BALI! Mermaids have been admired for their exotic beauty since the beginning of time. As the inspiration of myths and legends, they are famous for mesmerizing sea men and sailors with their mysterious allure. Island Mermaids can provide you, the opportunity to experience the ocean as one of these mythical creatures on the stunning island of Bali! This is aimed at all girls world wide who are interested in the connection of your body and the ocean and simply trying something different! Something has come to our attention – particularly now, more than ever. If you stop to think about it, society has created ‘the right way to live’ and the perfect life. This has then created low self worth and low self esteem to those who feel they don’t live up to this standard. We are all expected to live a certain way. Maybe this could go along the lines of; School, College, Graduate with a degree, meet your ‘soul mate’ have a family. But now if you fail in any of this, then you have failed in life. Now, some people may live this life and be happy and this is absolutely fantastic. In fact it’s magical, anything that makes you feel at balance and complete is magical! But this doesn’t mean that life is for everyone. It’s time to break ‘the way you should live’ idea. The majority of society are now portraying their ‘perfect life’ through social media to soul-less followers. Humans – especially our younger generation are allowing their happiness to become dependant on the amount of followers they have or the amount of ‘likes’ their photo received. When did social media become such an ego feeding, anti social place? The majority of situations, people are portraying their perfect life to followers they have no connection to – no friendship, no love – just a connection via the internet and WiFi. WHY ARE WE TRYING TO IMPRESS PEOPLE WHO DON’T KNOW US? When did it become less important to focus on the real souls present in our life? Others are just missing out – living in the NOW. As a society and this generation, we have become ‘addicted’ to being connected to the whole world 24 hours of the day. We are constantly ONLINE. We are easily accessible by almost anyone. We are never really alone anymore. 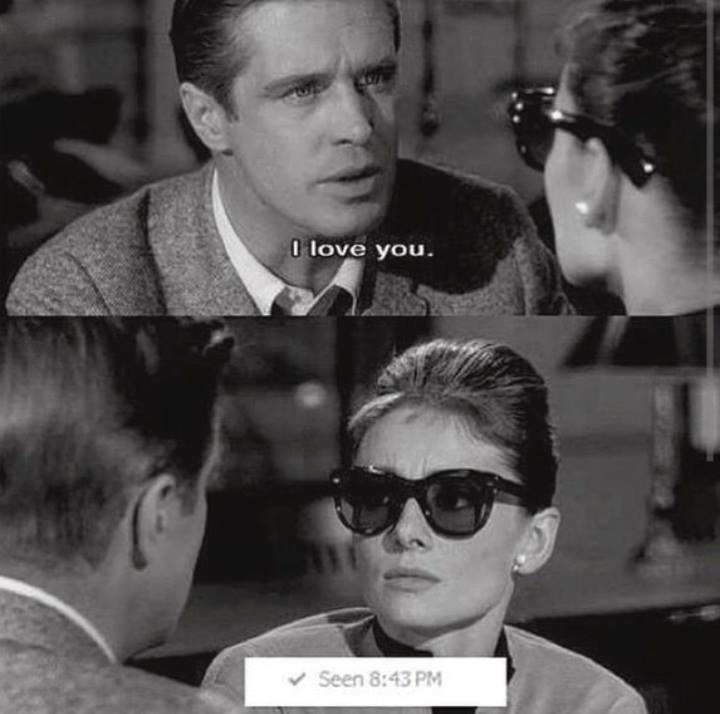 If someone doesn’t reply to you after they have ‘seen’ your message, you have automatically done something wrong, or anxiety takes over. We need remember we have lives that are not online and we need to allow this. Enjoy having dinner with your friend, talk to each other. Engage! Do this without scrolling on Instagram at the same time as having a conversation. Be in the moment. We need to teach ourselves again, how to live in the now. Live in the entire moment. I personally wouldn’t let my phone sit on my heart chakra or any chakra of my body and mix their energy so why would I let my phone be connected to my hand at all times? At Island Mermaids, our new dream and inspiration is to create a life where we live in the NOW. To live for pure happiness and follow what your soul really desires. Island Mermaids has created packages to allow yourself let out your inner wild chid. This is a time where guests are connected purely to the ocean, the currents and freedom of swimming in a creative way. This is a time to let your spirit free – shine – let your auras shine! Smile, laugh and learn! We encourage those wanting to shake off their stress and do something completely unique, that maybe you wouldn’t even have expected yourself to do! We want to push where guests see this time with Island Mermaids as time of complete freedom. A new and creative way of swimming, let out all of your colours. Come to life. Feel at balance and swim along the line of the current of the ocean. See yourself in a complete different way, the mysthical soul that you are. We all have dreams of magic and questions of what our own inner soul wants.. You can only find this when you are connected to yourself, purely. 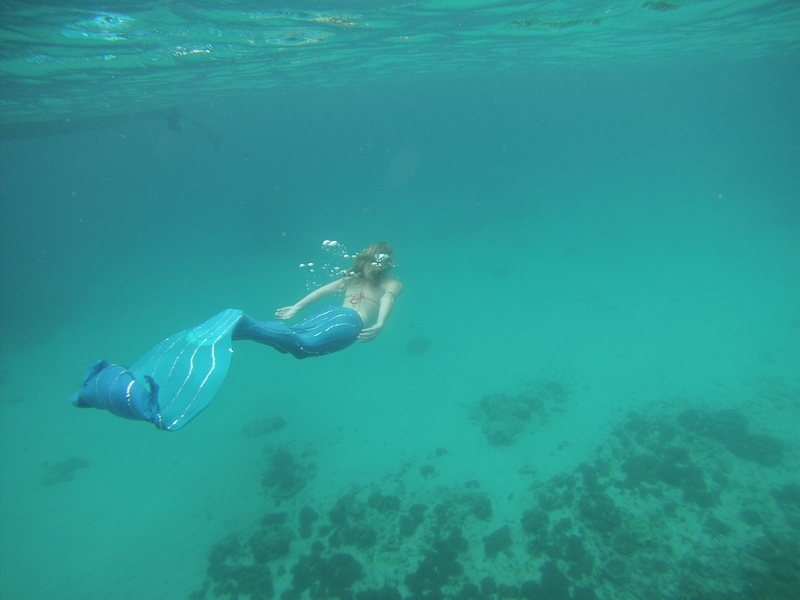 Island Mermaids are urging people to do something completely different. 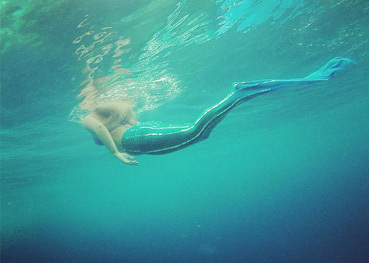 Our Mermaid tail rentals, mermaid packages and ultimate days out in Bali is giving you the rare opportunity to play with your wild and creative self. When did life have to always be so serious? IT DOESN’T – Our packages are filled with laughter, breathing exercises and balance. Life is about taking risks. Small ones, big ones and ones that don’t seem important but can turn out life changing. When was the last time you thought about what you want? Creating Island Mermaids, isn’t black and white. Suits and ties. Formal meetings and a 9 till 5 life. This is an art, it takes time, it takes practice, it takes love. We live in a world that is in desperate need of healing so it is important to gravitate towards each other. Look for the pieces of magic in every bad situation. Realize it’s not actually so terrible, it’s more often a lesson. Life lessons, each and every day. Who knows what will happen next. The road is long. With a new year comes new beginnings, right? Well this is definitely the case for us at Island Mermaids! After months of hard work, loads of sweat and oodles of planning (and not to mention thousands of sequins), we are happy to announce that Island Mermaids, the FIRST mermaid company in Indonesia, is officially up and running on the beautiful, tranquil and mystical island of Bali! Not to forget our stunning new, Sparkle mermaid tail! To combine the two biggest loves of our lives – Bali & Mermaids – is something we are so lucky to have the opportunity to do! The Team at Island Mermaids have always dreamt of what it was going to be like, and to finally see that dream in action is indescribable – yes we still have to actually pinch ourselves! To wake up in the morning, in Bali which is home to some of the most magical beaches and breathtaking diving sites we’ve come across, to make mermaid dreams come true, and being surrounded by beautiful, alluring and mystical mermaids each day just fills our hearts. And to now have this as our reality, we are truly #BLESSED! Seeing just how far we’ve come – from a simple idea to a busy business; we began to realize how important it was to be an enthusiast in life. We realized if you are interested in something, no matter what is it, go at it full speed. Embrace is with both arms, hug it, love it and above all become passionate about it – because at the end of the day, the outcome of this will not only affect yourself, but also anyone who crosses your path. We know no body ever said it would be easy, but my goodness – it is worth it! This journey has meant a lot more to us than creating a business or selling a simple product. Our products are created and sourced locally, all within Bali. Keeping jobs within small businesses that are in need, our tails are the only magical tails created within Bali. Not only does this choice help support local businesses and families, but also in a way it is giving back to the island that has given Island Mermaids so much love. In return, each tail is handmade and once completed, is blessed by a Balinese Hindu. We believe this blessing brings love, luck and happiness to each mermaid. With this being said, Island Mermaids has formed such a large and supportive community that we couldn’t have ever imagined! 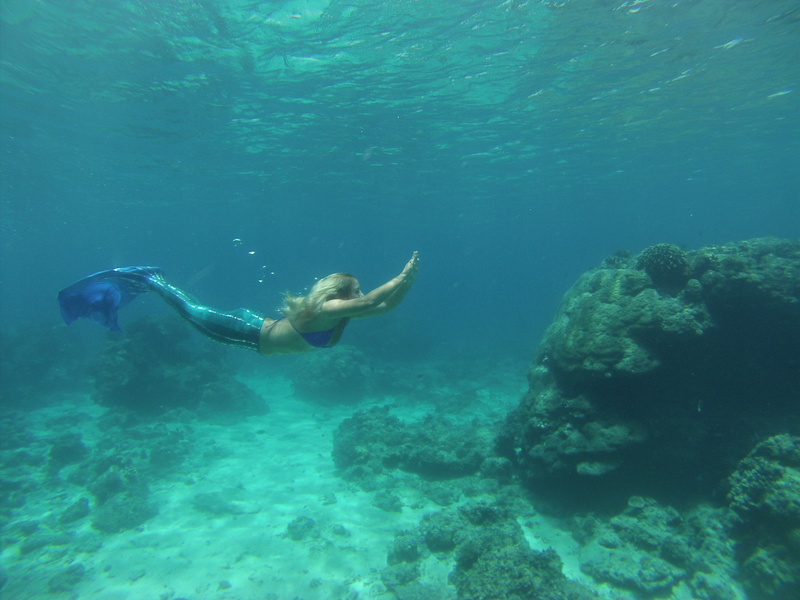 To have people travel across seas to book a magical mystical dive with Island Mermaids, to experience this beauty first-hand, to having people receive our products worldwide and spread the love that Island Mermaids has to offer is truly astonishing. 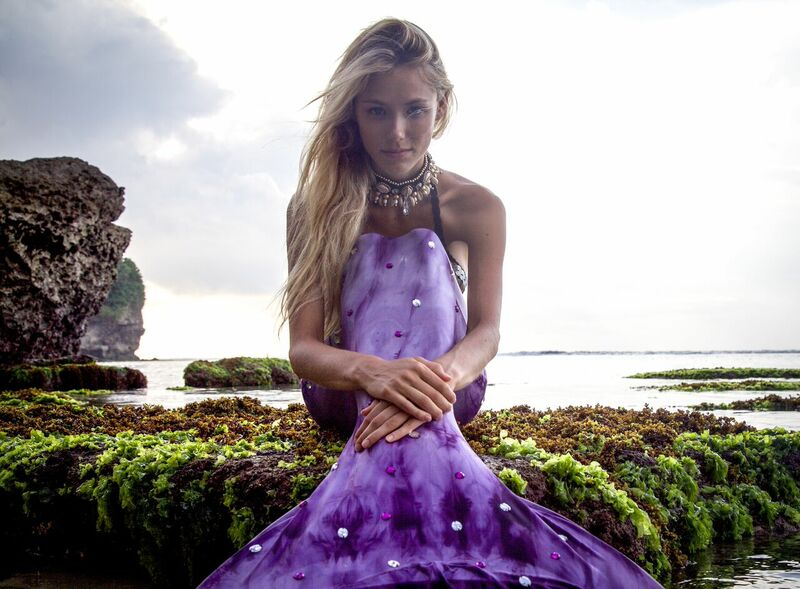 While Island Mermaids will continue to offer a uniquely creative way to swim, while looking mystical in a mesmerizing mermaid tail – our mermaids will now be making a SPLASH on the East coast of Bali. Mermaids are getting their tails wet and travelling up the coast, exploring many new beautiful and truly magical locations we handpicked for our incredible mermaids. Island Mermaids have also made a few changes to what we have to offer including exclusive mermaid photo shoots and private mermaid parties – both include professional photographer and mermaid stylist! Be sure to check out our ‘Packages’ page for further information. Island Mermaids can fulfill dreams one mermaid at a time, now that’s success for us! Although, this isn’t the last you’ll hear from us at Island Mermaids – this is only the first splash of many to come. As we all know, Mermaids have been admired since the beginning of time and will be for eternity. Island Mermaids the FIRST mermaid company in Indonesia, is coming to Bali and what beautiful human hasn’t dreamt of being a mermaid before? This is a new and exciting concept to ‘Things to do in Bali’ and there is something for everyone! 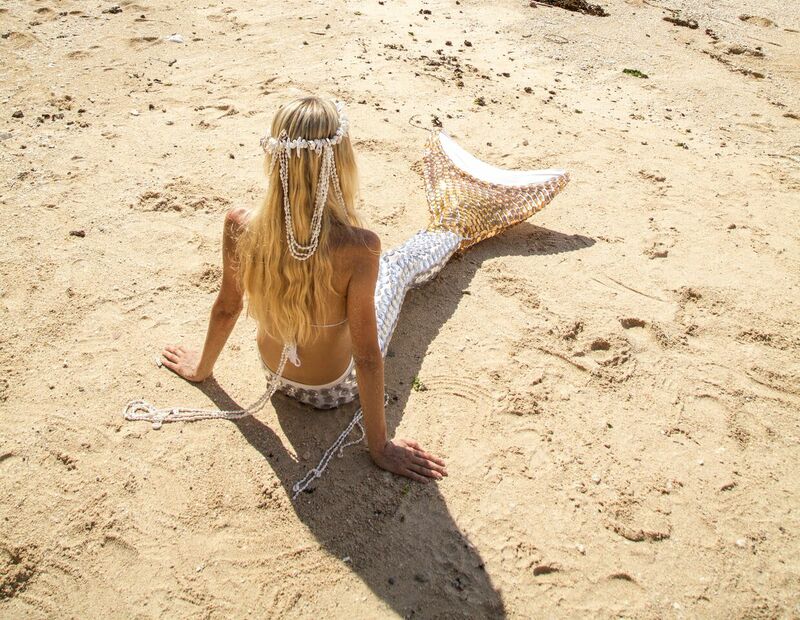 Island Mermaids mermaid tails are luxury handmade mermaid tails, created and blessed in Bali, Indonesia. They are for a fun and creative way of swimming and produce the most beautiful photographs! Island Mermaids started in Gili Trawangan and grew to be popular as the public would watch in amazement at the Mermaids at The Exile, Gili T and the mermaids swimming magnificently in the ocean. Package two is aimed for those who don’t want to or cannot swim. Yet they want the experience of being in a mesmerizing mermaid tail. This is a mermaid photo shoot, with a professional photographer, stylist and use of four different mermaid tails. Package three is the mermaid parties! This is where our mermaid team will visit you at your home/villa/hotel to mermaid you up! 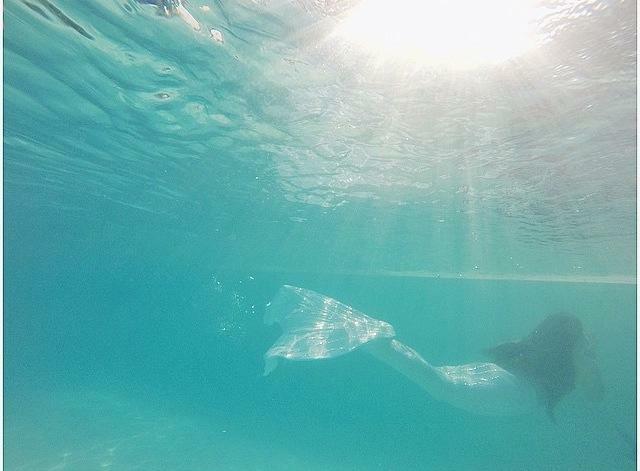 This includes mermaid tails, professional photographer, professional mermaid and in and out of water photos! STAY TUNED, Bali – I hope you are ready. Mermaids are known for luring men in for eternity…. 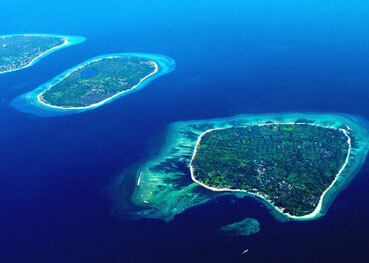 After much ground work, we are happy to announce we are GILI TRAWANGAN bound permanently for this high season. Find Island Mermaids at most Tourist information desks in Gili Trawangan and Bali. Here you can book our boat excursions around the Gili Islands where you can use the Mermaid tails to swim in the ocean among our sacred turtles and tropical fish, this is a perfect day trip for groups of friends wanting to travel around the Gilis on the boat whilst also producing amazing photos. Island Mermaids’ School of Mermaids is now located at Trawangan Dive Centre www.trawangandive.com Here you can book Discover Mermaiding, this includes introductory lesson on how to swim in a mermaid tail in the Trawangan Dive pool. This is recommended for beginner mermaids keen to make a splash for the first time! ‘Merkids’ are also welcome. Mermaiding is a fun activity to entertain the little ones, and makes a great photo opportunity. Or Ocean Mermaiding which includes both the swimming pool and an Ocean Adventure. Travel by boat to one of the many dive sites around the Gili Islands. Here you will have the opportunity to have a go with your skills in the open ocean whilst swimming with the tropical fish. And finally you will find Island Mermaids at The Exile, our favourite place on the island. Here you can rent use of the Mermaid tails for sunset photos and day time photos. 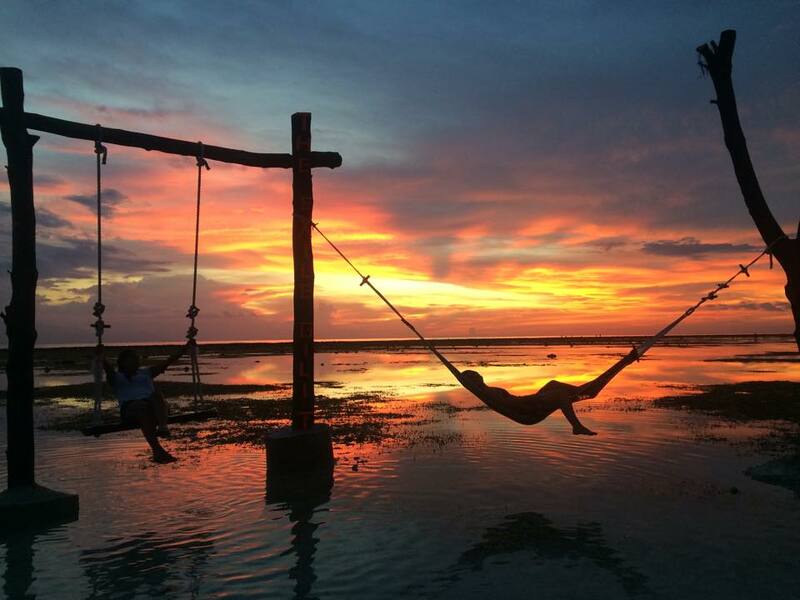 This is a beautiful spot away from the center of the island, here we produce amazing sunset photos on the swing, hammock and beach. I didn’t plan to continuously write so personal but I find myself again writing about my life in Indonesia and my journey so far. I finally did the move from Bali to Gili Trawangan this week. After months of Island hopping between Bali and Gili Trawangan and resisting to permanently live in Gili Trawangan or even spend the majority of time there rather than Bali, I broke the resistance and moved. Years ago before I moved to Bali, I was planning to move to the UK, I longed for a life I didn’t feel comfortable I wanted a new challenge, somewhere to make a home, not be somewhere that was naturally home. I achieved this more than I imagined when I unexpectedly moved to Indonesia and spent time in Australia. That lonely, uncomfortable, scary feeling when you know nothing about that place. Yeah I achieved that. You begin to learn the way of a new place and in some cases quickly you adapt to that place. You grow to become a piece of that place, and the place becomes a piece of you. The last few weeks I craved the exact opposite, I loved Gili Trawangan, I knew a lot about it, I had friends who are family in Gili Trawangan but it still wasn’t Bali. I couldn’t bring myself to change my home from Bali to Lombok. By telling myself that Bali was home and only Bali and not letting myself free to Gili Trawangan meant I wasn’t giving Gili Trawangan the opportunity to become home, so this week I decided to let those thoughts go. I split the deck of Tarot cards – past, present, future. The past read the devil. In my opinion this is the worst card of the deck. It means you are tied to two things, you are keeping yourself back, not letting yourself move forward. You are tied to an unhealthy situation and only you can help yourself. I knew this card meant being tied to Bali and Gili at the same time. I knew to move forward with the business I needed to be in Gili Trawangan, if I wanted to live my dreams and the life I loved I needed to be based in Gili Trawangan. Sometimes you can find yourself with anxiety eating away at you. Lacking self confidence, pulling yourself back rather than moving forward. I began to get this feeling occasionally in Gili Trawangan months back. Though I am blessed to have incredible people who are like family in my life there, there is also unfortunately those who also don’t understand you. There are those who could hear you speak a thousand words and still not get you and there are those who will get you without you even speaking a single word. This scared me, Gili Trawangan was too much of a small place to handle feeling down and lonely from those facts. But I thankfully came to realise anyone can be torn to pieces, anyone can be brought down and eaten away at. No one is perfect. Couldn’t I see how loved and supported I am. It’s a terrible thing that darkness can weigh us down so much more than light even if the amount of light is so much more. I wanted Island Mermaids to become big, I heard something from a wonderful friend that made me realise do I want these Mermaid tails in the factory or do I want them to be used every day and sold?! I manifest this, selling Mermaid tails and doing Island Mermaid packages. For everything, it was one of the most beautiful times of all. Becoming happy with my choice and realising that Gili Trawangan has already become home. Home is not a place it is a feeling. 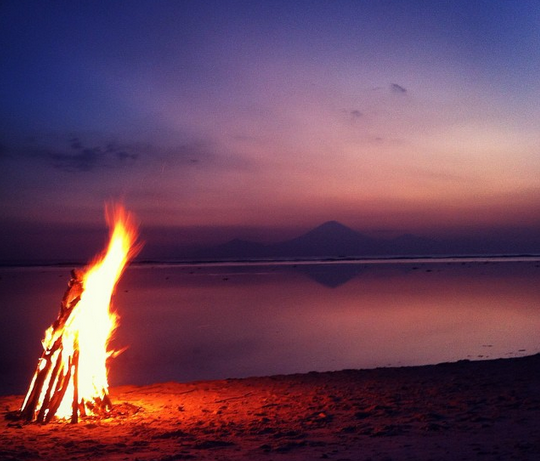 I am so content and blessed to say I have this feeling now here in Gili Trawangan – the feeling of home. It happened almost immediately from when I let myself go, surrendering to a new life and learning all over again. It was funny to think that before I craved a life so deep and uncomfortable. A challenge to make somewhere a home, to years on wanting the exact opposite, to stay safe. Pushing out of my comfort zone isn’t breaking my connection with Bali, I have a promise to Bali. I’m stuck there indefinitely. My heart belongs to not just Bali though but to this wonderful culture in Indonesia. Bali will always feel home but now Gili Trawangan has given me the feeling of home. What a wonderful thought to think I have the feeling of home that isn’t where I was born and grew up, I have found that place that people search lifetimes for. Now we are laughing in disbelief – me and a close friend who has also just moved to Gili Trawangan from Sengigi, Lombok. That we are both here together, close friends starting new adventures looking for a permanent 2 bedroom home to share. You need to break out from your comfort zone, just keep living. You will find your happiness. Trust that life will take you exactly to where you need to go. Recently I fell in love with Indonesia all over again and it made me realize how much I had taken this life for granted. Waking up everyday in the paradise becomes normality after years of living there. Two of the most important people in my life came to visit me, two of my best friends. Spending such special time with people you don’t get to see often makes you want to treasure every minute as you don’t know the next time you will get to see them. Although this could be anyone, we should really learn to appreciate all those around us, even those we see everyday of a year as we don’t know what could happen tomorrow. Life can throw the unexpected at us and things can change forever. Lately spending afternoons on white sand beaches became complete normality. I didn’t even flutter an eyelid to really appreciate where I was. But then it was like an epiphany happened, I was in paradise. This was my everyday life. I worked hard but at the end of it I could come to the beach with the most beautiful souls. Indonesia has brought the most special humans into my life, these people have truly become family to me. My friends who were visiting me helped remind me of this, as this for them was the end of their travels whereas I would be continuing this life. It’s not just where you are, it is the feeling the place and life gives you. It doesn’t necessary have to be in a paradise island. It could be at home, a comfortable warm home, knowing there is loved ones around you. Because I’ve come to realize, Bali can also feel the most lonely place in the world sometimes, but the security of knowing who came into my life is what keeps my heart whole. There will be times you feel uncomfortable, lonely or down as life isn’t always a happy Disney movie. But we have to remember ‘Hidup itu Indah’ this means Life is Beautiful in Indonesian. I had this tattooed on me in 2012, not just because my life in Bali was beautiful and amazing but because the actual word and meaning of LIFE is beautiful. To be alive, to feel, and to see the sun and moon each day is nothing but beautiful. The Exile brings the warmest most mellow feeling of happiness to me and I believe it does to everyone. I have worked incredibly hard to not live a 9-5, 5 day a week life. And to instead, create Island Mermaids, I will continue to live my blessed life in Indonesia being a Mermaid and giving others fun and happy times to also be one. And now I just want to remind you , that you can also do anything you put your mind to. I believe if you really, truly want something then you will make it happen. So take a second to look around where you are, it may not be on a beach or in a huge mansion, but think about how far you have come in yourself and in life and the happiness you bring to others. Take a second to remind yourself how much it took you to get there. I have been reminded how far I have come, yet there is so much further to go. Indonesia you stole my heart and never gave it back. Feeling completely blessed to have such a beautiful goddess Christine Harris as our first mermaid model for Island Mermaids, mermaid tails. After months of hard work creating our own swimmable mermaid tails, from working with local small businesses here in Bali and testing out different ways to make our own unique beautiful tails we finally did it! Crazy, long days searching material and exploring the slums in Denpasar City has now turned into sharing the magic in the ocean in the three amazing Gili Islands; Gili Trawangan, Gili Meno and Gili Air. Just under two hours from Bali on speed boat you will find our three paradise islands that belong to Lombok. 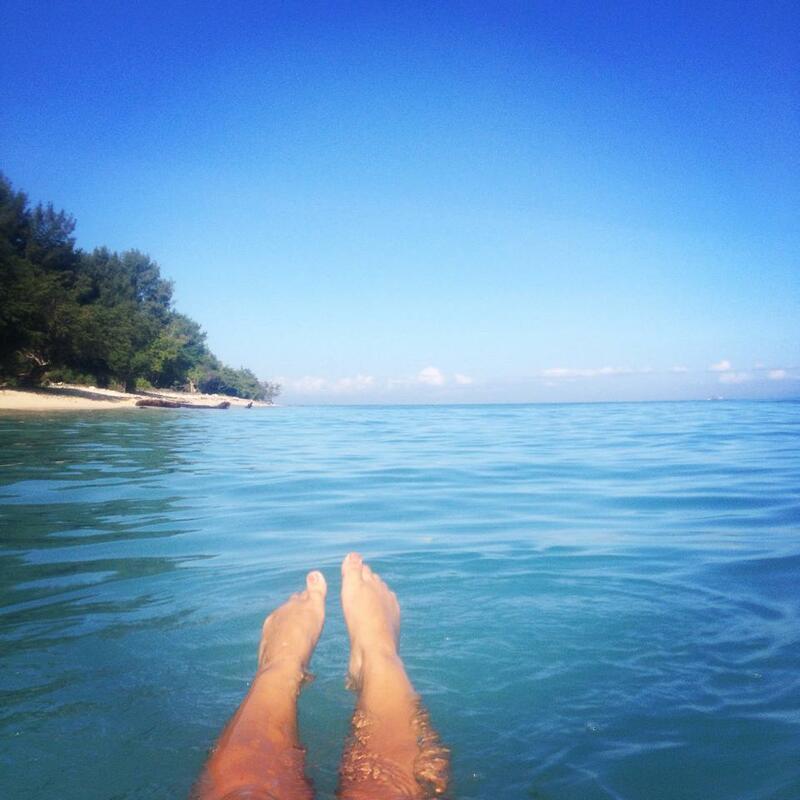 Life has become island hopping between Gili Trawangan and Bali for us mermaids. Check out this awesome page http://www.inbali.org/place/gili-islands/ a perfect explanation of one of our Paradise Islands. Our first ever underwater shoot with Australian babe Christine Harris around Gili Trawangan and Gili Meno in the mermaid tail was when we discovered, everyone here can be apart of the ocean life as a mermaid! Christine Harris was the first beauty to use Island Mermaids mermaid tails in the ocean and this began the creation of magic. This isn’t just fun, but using Island Mermaids mermaid tails is special. Us Mermaids find pieces of magic in the ocean, magic that can’t be found on earth. And for all the pieces that we find, we leave pieces of ourselves there too. Our energy we shared will remain where we left it for the rest of time. The ocean is a complete different world to the Earth we live on. Life isn’t about ego and impressing people, we want YOU to feel beautiful. Feel unique as a mermaid, find that playful, beautiful self that is inside you and swim freely in a mermaid tail. Save the world. Clean up the beaches, collect shells, swim at sunrise, watch the sunset,take care of our sea creatures, look out for dolphins… Listen, forgive, feel and seek. Join us in Gili Trawangan or Bali, rent a mermaid tail, come on our Island Mermaids Package. Do something out of the ordinary.. There are pieces of ourselves that belong to the Universe waiting to be found. Look further, deeper. Find pieces of yourself that you didn’t know existed. Come for a day and stay for a life time..